The development of effective rail transport system is the primary need of any developing country and the upgrading of existing railway network system is essential for the developed countries as the capacities of railways are reached to saturation level with the passage of time. The railway development involves very high degree of attention by the project Authorities as well as by the Consultants, Engineers and Contractors. Any mistake May result in expenditure of a few millions which could have been avoided. Normally the design of route alignment and the ancillary structures decide the cost of a railway project and for this job the best experienced manpower and best available tools must be deployed. HEADS Rail is applicable for Metro Railways for design speed of 135 Kilometres per Hour or more, Standard gauge, Broad Gauge, Meter gauge, any defined maximum “Cant” at Super elevated sections giving inner edge rotation, Curves with Clothoid Transitions, Earthwork Estimation, Construction Drawings, Design of rail Yards, Design of Points, Crossings, Track Diversion in case of Repairing, Curvature, Train Resistance & Haulage Capacity on Grades and Track stresses. 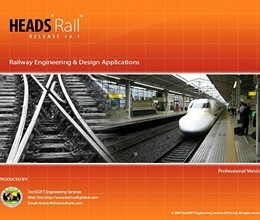 Alignment design for Railways, Metro Rail Tunnels, Mono Rails, MRT, LRT etc. Under ground Metro Railways with generation of Coach profiles at turnings etc. Design of Points, Crossings, Yards etc. Optimized vertical profile design for Exact Quantity of Earthwork at desired Haulage capacity. Long Section Drawing with Alignment & Super Elevation /CANT details, even in Pieces. Interactive design for a large alignment length in one go (in True Sense). Design interchangeability with other popular design software. Straight forward interactive design for Main Alignment, Loops. Irregular occurrence of Service corridors on either side and change of cross section. 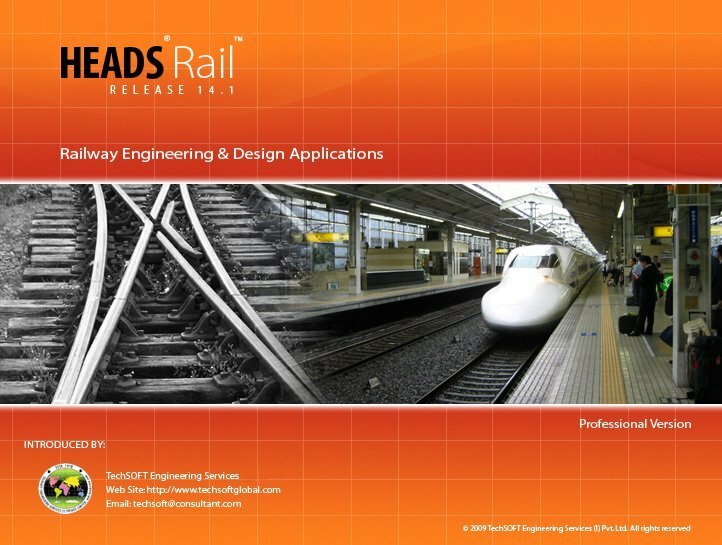 * HEADS Rail download link provides trial version of the software. HEADS Rail has been rated 3.0 out of 5 points. A total of 1 votes cast and 0 users reviewed the software.